Phoenix Real Estate Agent Kelly Young | Phoenix Condo Mania! 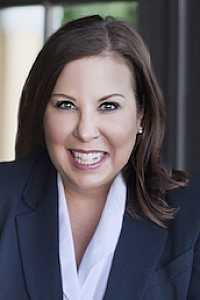 A proud native of Phoenix, Kelly Young has had a successful career in Technology Sales and management, with her last position with a Fortune 100 firm. She began her second career in real estate in 2016 and has used her organizational and people skills to get her clients a leg-up in the real estate market. "I am definitely a people person," Kelly says. "I enjoy helping others and finding solutions, along with being an advocate for my buyers." Her condo experience has been mainly in the Biltmore Camelback area, however she has been selling throughout the urban Phoenix market. When Kelly isn't helping buyers and sellers with their real estate needs, she spends time with her husband Thomas, her children and 5 rescue dogs and cats. Kelly has been fantastic to work with! I found her agency, Contigo Realty, online and they have all been very helpful and knowledge about the Scottsdale area market. Kelly has exceeded our expectations and gone above and beyond what an agent’s role is. The process was hassle free once she got involved. I would most definitely recommend her to anyone looking for a real estate agent in Scottsdale. You will not be disappointed!